Recently, some one asked me what my passion is? I thought for a moment and said – “I have none” .. later I ended up thinking about it even further. I wondered if every person that I encountered in my life has any passion for something or the other. I have no such thing that I am so fond of that I would forget time and be engrossed in it (unless there is some kind of strict deadline). So, I googled it to find what it means and there were many meanings for this word but I settled at “Boundless enthusiasm”. Although, my blog is named after passion, it could be very well mistaken for something that I must be really passionate about. 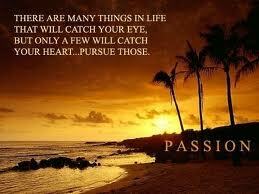 The sole purpose is to discover if, any passion that I may have for anything before it is too late to pursue. 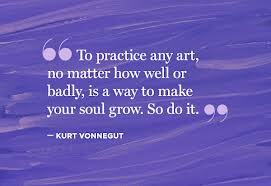 This is reason why I keep experimenting with variety of new hobbies quite often. And I am totally enthusiastic and curious about everything I take up. Curiosity certainly keeps life alive and you strive hard to uncover it. After more googling (google is my friend) or binging (Microsoft too) bit further on this topic, I learned passion can be created. Credit goes to this website. Yes, Passion can be created for everything we like/wish to do. Just that intensity needs to be increased in that area. For instance, if you like exercising, get to know in and out about it. With out you realizing you have already gained enough knowledge to be shared passionately with others who need help with. It goes same with any hobbies or habits that you can easily pick up. Consider reading books or writing or even volunteering at a charity event. If you repeatedly do the task with improvement each time, you are clearly passionate about it. Once you start working on it, you will some day get closer to once upon set target. May be you wanted to be better at dancing, you will eventually get there. Some one rightly said talent is just 10%, attitude is 90% and I tend to believe in it. But, if you start enjoying the process of reaching your target that is when you can truly develop passion for a thing. Yes, you might as well give up at some point.. that is okay, taking break from what you do will help you focus better or re-evaluate if you really want to proceed further. Well, it’s never too late if you even want to start all over again. Life is too short to get wasted just brooding over time lost. What are you waiting for ?..Get behind the wheels and go forward! How many times have you failed to regularly write an entry in your blog? I fail at it from time to time. Just last week, we celebrated a festival on a large scale. I wrote about the festival reminiscing childhood memories with appropriate pictures to be posted in this blog, alas lost the content while I got busy with some other stuff. I gave up re-writing about it. Do you keep up with promises? As for me, the success rate is far less than I want it to be. From last two posts where I promised that I would post the “Giant Christmas tree from NYC” and experiments of baby photo-shoot are left in the air as well. It is still on my to-do list. Besides blog entry promises, I have mentioned about resolutions in my previous post where they can be renewed every year. In fact, I renew them every single day and decide to start tomorrow. Apparently, tomorrow never comes for me. Another one where I mentioned about how coffee is bad for health, I gave up for few days but a natural instinct when you are on strict deadlines and if your stress levels are high, obvious option is to consume caffeine. Do you take up new initiatives? I am not sure if any one out there can empathize with me. Let’s talk about my new activities (for instance, knitting , learning guitar and public speaking and many other you can find on about me page) that I keep taking up every now and then, I am not as dedicated as I want to be. Trying new is exciting but sticking to them until you get through is the most difficult part. Have you ever heard of a saying “Jack of all trades, master of none”, it righteously applies to me but some day I want to be categorized as “Jack of all trades, master of at least one” instead. Indeed, that is how it works in this modern era. It applies at your work location as well which I strongly believe in. Coming back to the commitment of writing one blog entry a week is the biggest challenge that I want to take it up. Writing an entry, no matter how good, worse or mediocre it sounds.. it sure requires mind to be at peace and have thoughts flowing in with ease. I want to add bit of humor to my writings, another initiative on-the-go. And these habits sure reflect in life and at work. I can audaciously say that I am very good at procrastination. Question for you all- How committed are you with what you take up? 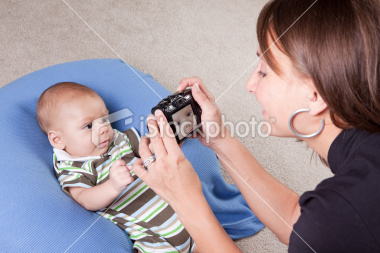 Photography isn’t that easy – upcoming Infant Baby Photo Shoot. I proudly said to a friend of mine – “I own DSLR canon T3i camera”, her reaction – great, can you take pictures of my new born baby. And I said “Yes” without any second thought. I am not good photographer but I grab every possible opportunity to click the pictures. A bit of background about my obsession of this photography, Ok, obsession is a strong word but rather let’s say – I love capturing pictures naturally than actually asking people to pose. The result is often not that great. Although, I have been clicking pictures for quite a long time with DSLR’s, I never really invested time in learning some important aspects of taking great pictures. As the thought of upcoming infant baby shoot comes to my mind – I try to Google away for some tips and tricks on that topic. The more I learn about it, the more challenging it sounds. I now realize it takes some level of understanding about the technicalities of the camera like right aperture, shutter speed, focal length, lens, lighting, angles, background and more. Also, if you truly want to do justice to the pictures you have captured, you need to know – how to Photoshop them with transposing images to get what you want. I always claim to be taking naturally posed pictures over pose for photo, more often than not you’ll see unwanted pictures that you can laugh at it if you are sportive enough. I would like to think the satisfaction that I get seeing the smiles on the people for taking their pictures is totally worth it. Everyone loves to be photographed.. well 99% of them really do and I am no exception. I actively volunteer to take pictures in any family events even if I happen to know no-one at the event except for the host or few acquaintances. Looking at my enthusiasm, people would think I must be a great photographer, but clearly am not. So, out of few hundred clicks, it is totally possible that you might have captured few great pictures.. as you can estimate, odds of capturing good pictures are high in general. I might have learned some tricks unconsciously by randomly-clicking-pictures-away talent but when you are specifically asked to do the job – Now, I am really nervous. Google is a great friend, but would love to nail down to some specific quick-to-learn photography techniques /tutorials to capture infant babies and their family pictures. That would be great. Appreciate if you would like to share any tips/tricks that would help me perform photo shoot better? P.S: I’ll try and share few pictures in any case if they come out well. I mean really well, really really well. .. no kidding, alright you can renew your resolutions every year like you renew your any of leases or green energy or could be anything? on the plus side, the resolution renewal cost you nothing. Well, may be some guilt, laziness, memory and energy wastage. Although, I do not remember taking any resolutions last year but I did get into too many activities in last mid-year. It’s past 6 months now and I am still clinging onto them. Am I not supposed to make brand new resolutions this year? asks other part of my brain. Instead of making new resolutions this year, I decided to throw in some more ingredients “Discipline”, “Patience” and “Perseverance” into existing ones to make the dish more meaningful and ready to be served. More importantly, I want to give-away the habit of “Cribbing and Complaining” .. any one interested in taking this? It’s FREE FREE FREE. It is not always a good idea to take everything in just because you are getting for free. The payback is often expensive! It is very easy to give up on things in life and in general, yet beautiful things do evolve if we keep positive mind set about the situations and have undying hope in life. With this positive mind set, I am setting out an target (to be achieved) to remain disciplined in every activity that I have already taken up and in day to day life. (my other part of brain says :an oath.. really?, are you kidding me?). As you can see, there is always this fight that goes on head. Another resolution is to stick to my resolutions. Period. On that note, Wish you all a wonderful New Year ahead and hope your dreams and aspirations come true. Make sure you create positive energy around you by just being positive about the situations even in the worst times. ohh well.. forget not to dream big ! 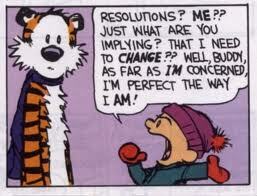 Do you have any resolutions taken this year?